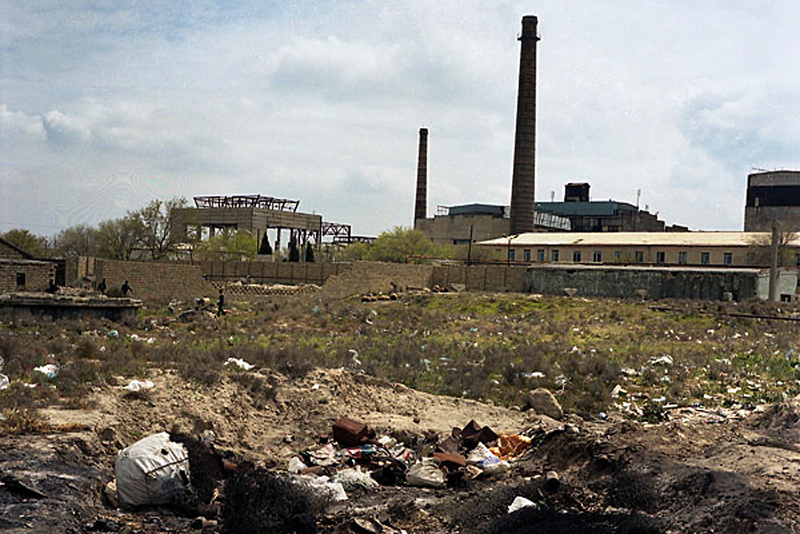 There are few outward signs to indicate the Azerbaijani city of Sumgayit, a Soviet-era hub for the petro-chemical industry, is a seedbed of Islamic militancy. Shops and restaurants sell alcohol, and residents dress casually. But, according to police, this smokestack city of 400,000, some 35 kilometers outside of the capital, Baku, is a major source of Azerbaijani Muslims who go to fight, and often die, in Syria’s civil war. Thirty-six-year-old Sumgayit resident Rasul (last name withheld at his request), knows firsthand the reality of Sumgayit’s reputation. In 2013, his younger brother, Zaur, then 32, was killed along with five other people during a Syrian army attack on rebels near Aleppo. News of Zaur’s death reached Rasul via an Azerbaijani TV report, which showed his ID card and identified him as the commander of a group of international mercenaries. His brother, Rasul said, began observing the Islamic prayer ritual in 2009. In late 2012, he disappeared. “He took some personal belongings and left. Even his wife did not know where he was. We asked for the police to help, but, after some time, he called me and asked not to worry and said that he is working in Turkey,” Rasul recounted. These days, along with his own two children, Rasul, who runs a small retail business, looks after the three sons of his slain brother. He told EurasiaNet.org that he has experienced problems with Azerbaijani authorities because of his brother’s actions in Syria, but declined to elaborate. No precise data exists for the number of Azerbaijanis who have fought, or are still fighting in Syria, most often with Islamic rebels against forces loyal to President Bashar al-Assad. Citing secondhand sources, local media claim the number of militants in Syria is anywhere from 200 to 400, with more than 100 killed in action. With more frequent press coverage of Azerbaijani citizens allegedly participating in the Syrian conflict, police are now paying closer attention to this trend. In the past five years, “about 40” Sumgayit residents have left Azerbaijan for Syria and Afghanistan, and almost half of them have been killed, according to a survey of Azerbaijani police departments by the local news agency Vesti.az. Another 230 city residents are “under police control,” or being watched, as potential mercenaries. Out of 40 police departments queried by Vesti.az across the country, Sumgayit’s numbers were the highest, in terms of the militant ratio to the general population. The sources for the police information were not specified. Sumgayit recently has emerged as a center for Salafism, a form of Sunni Islam that advocates a return to Islam’s earliest practices. In late 2013, an armed clash between alleged Salafis and a group of Salafi dissidents called Kharidjis left four people wounded and 16 detained. Arif Yunusov, a Baku-based author of several books on the role of Islam in Azerbaijan disputes the claim that Sumgayit sends the most Islamic radicals to fight in Syria. Individuals “from various cities and regions” in Azerbaijan make up the roster, he commented in a late April interview done shortly before he was detained by authorities and hospitalized because of a heart condition. Towns in northern Azerbaijan near the border with Russia’s Dagestan, a region long troubled by Islamic militancy, also are a frequent source of Syria-bound jihadists, according to police information given to the Azerbaijani news site Vesti.az. What makes Sumgayit stand out is its community of Kharidjis, who, contrary to other Azerbaijani Salafis, “believe that they should not obey secular rules and must participate in jihad worldwide,” according to Yunusov. Kharidjis recruit candidates via local mosques and teahouses. The city’s demographics play a role, too, he continued. Built in the late 1940s, Sumgayit long ranked as a city of migrant, relatively uneducated blue-collar workers. It did not have a mosque until after the collapse of the Soviet Union. But at that point, other upheavals came into play – the closure of many of the city’s industrial plants and, amid the war with Armenia over the Nagorno-Karabakh territory, Sumgayit’s transformation into a high-tension hub for refugees and Internally Displaced Persons. “All these factors created a kind of vacuum which was successfully used by religious radicals,” Yunusov said. Meanwhile, not only men, but also women from Sumgayit are being encouraged to go to Syria, locals and media report. In April, anonymous leaflets appeared throughout the city urging females to conduct “marriage jihad” (jihad al nikah) – provide sexual services to mujahidin -- for entrance into heaven. Other than heightened police surveillance, official measures to stop the outflow of would-be jihadists seem limited to stiffer penalties for fighting as a mercenary. In March, prison terms for such activities were nearly doubled to five to 11 years, while those who recruit or sponsor mercenaries face a nine to 15-year jail sentence. The punishments have had one effect – making those who have waged jihad in Syria keep a low profile. Rumors circulate in Sumgayit about supposed “mujahidin” who have returned home after fighting in Syria, but none could be identified and asked to comment on their experiences. Shahin Abbasov is a freelance correspondent based in Baku.